Another day and another free spin at Nordicbet. Today you get 1 free spins when opening up the pokie SouthPark Reel Chaos. 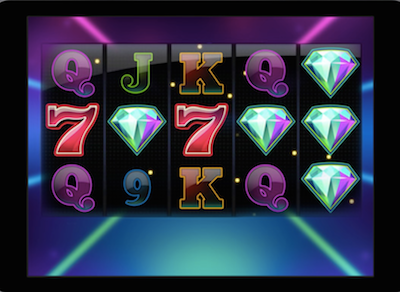 They are also running another special campaign today where if you can guess the slot in the image below you will get 10 free spins. All you have to do in order to get those free spins is to wager at least €5 on the pokie and the 10 extra free spins will be added right away on your account. If you can not figure out which pokie it is, please let us know and we will share the info, but we hope that you can do that without our help, and it is a bit funnier to solve it yourself. CasinoHeroes have launched a new pokie campaign where you can get up to 50 extra free spins if you beat on of the bosses in their casino adventure on their site. You have until Saturday to beat at least one of the bosses, the more bosses you beat at CasinoHeroes the more free spins you will get up to a maximum of 50 free spins. You can also get another 50 free spins extra on the Dark Knight Rises by just depositing at least $30 or more. The free spins will show up in your account where you can activate them. So head over to CasinoHeroes and defeat one of the bosses and claim your prize in the form of free spins! All players that make a deposit today at Thrills of $100 or more will automatically enter a draft where one lucky player will win €1000. The lottery will take place on Monday and the winner will be notified by email and phone. So join the lottery by depositing $100 today and hope for the best! We hope that you will enjoy todays campaigns.